One of the most important questions when organizing promotional marketing activities is reporting the accomplished results. How many views does your website get from Google, Facebook or Banner Ad? Which keywords generate the biggest traffic to your website? By web analytics you can predict how successful a website will be. Thanks to the tools for traffic analysis, you can make better decisions for the management of advertising budgets, changes in the structure, content and overall look of the website. You can also improve your sales by creating multiple pages with different Ads of the same product and then analyze which of them was more effective. 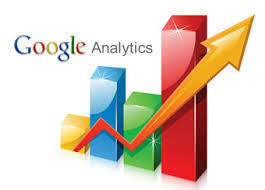 One of the best and most established web analysis tools is Google Analytics. It provides detailed analysis of consumer behavior that is extremely useful in decision-making. To keep track of what actually happens to your site, we will register it in Google Analytics and will provide in-depth information about the number of visits to the site on a daily, monthly and annual basis. You will know how long the user has kept the website and which pages he has visited. The team of Optymistica has extensive experience in web analytics with Google Analytics, MOZ instruments, various paid and free services, uses specialized software and can be helpful in carrying out a detailed analysis of the site!